I have a love/hate relationship with autumn. I love halloween, pumpkins, sitting by the fire and watching terrible movies on TV. But the cold weather is possibly the worst thing ever. 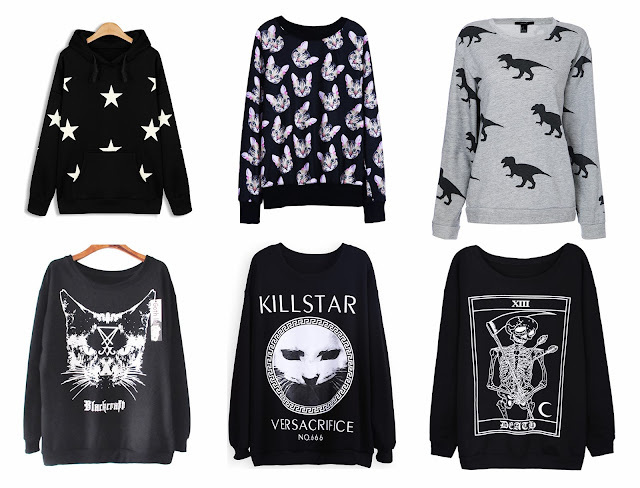 While browsing the internet looking at clothes I can't afford, I found sheinside have some amazing warm clothes at the moment. And now i'm not sponsored by sheinside although I wish I was. I could probably live in hoodies and sweatshirts if the temperature here didn't go into the minuses. 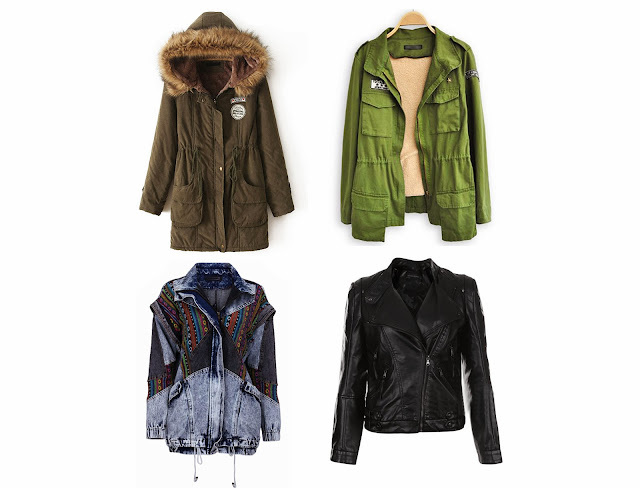 But they're great for layering especially hoodies with leather jackets. So here are some of my favourites from the website. Even though star print reminds me of being 14 again. I really love how this hoodie looks and it seems super big and comfy. Cats. Lots of them. That is all. DINOSAURS!!! Also I really like black on grey, and dinosaurs! I really like the whole witchy style thanks to American Horror Story. And I really like cats. As I said, I like cats. And I've wanted this sweater for ages, I don't know why I haven't bought it yet to be honest! Did you know I like wearing black? I really like the tarot card print on this one as well. I love parkas so much, They're super warm and go with almost anything. Even though this doesn't look as warm as the others, I really like how this coat looks. I have something similar in camouflage print. It's really good for autumn when it's not freezing but cold enough to wear a coat. I don't know why I like this but I do. I'm usually not sure on denim coats/tops but the aztec print is pretty cool and make this jacket really different. Leather jackets go with absolutely everything and that's why I love them. That's all i can say. Although I probably won't be buying all of these clothes, I'm definitely going to try and get some of the hoodies as sheinsides website is super cheap and free shipping!! I hope you all have a nice evening, and I'm going to go do MORE work now. joy.